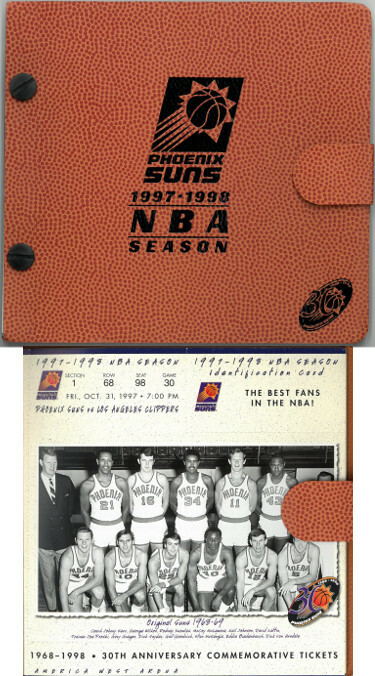 This is a 1997/98 Phoenix Suns NBA Basketball 30th Anniversary Season Ticket Album. Full set. Unused. Section 1, Row 68, Seat 98. First ticket page shown in image.